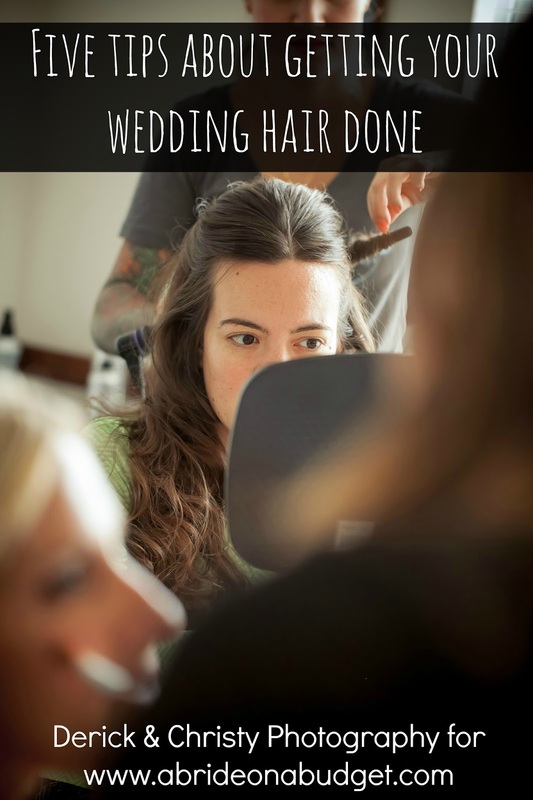 A Bride on a Budget was provided with these mints for this review. I love words. I always have. There are just certain words that I love the sound of, like onomatopoeia and nonchalant. They're just fun to say. Funny aside: When I was in eleventh grade, we read The Scarlet Letter. My teacher asked how we thought one of the characters was acting. I raised my hand so I could answer: Very nonchalant. My teacher said: Actually, it's quite the opposite. My friend turned to me: You just wanted to say that word, didn't you? Yes, yes I did. I just like words, I like talking, I like puns, I like plays on words. That's gotta be why I was an English major. 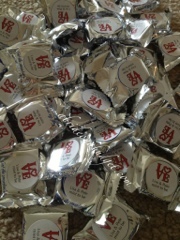 And that's definitely why I picked personalized peppermint patties for our favors. Give me a minute. This makes sense. I was looking at Little Things Favors' website, browsing the favors. If you haven't checked the site out yet, you need to. There are hundreds of favors on the site and they will definitely fit any budget. 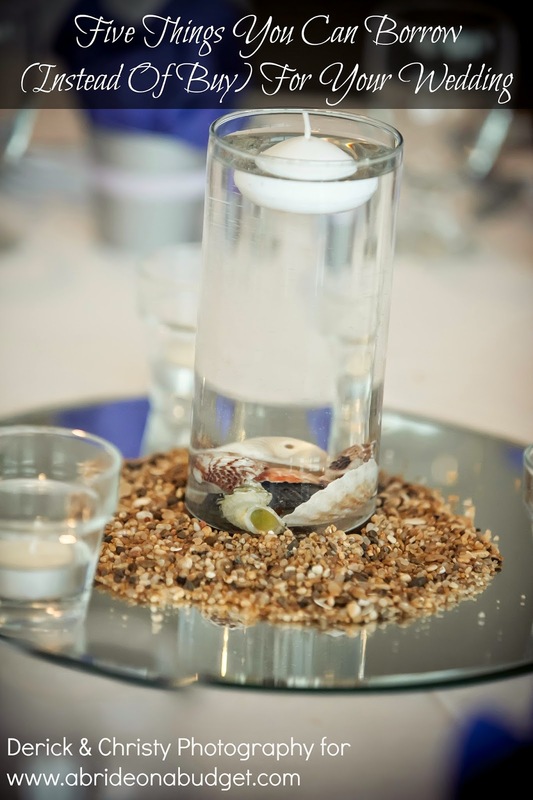 If you're on a budget, as most of us are, you can browse the Wedding Favors under $1 section. There are coasters, candles, keychains, and soap favors, all under $1 a piece. There are favors, like a diamond ring keychain, specifically for an engagement party and there are a ton of favors with two hearts that can fit any wedding-related get together (unrelated, but there are holiday items too, like Christmas chapsticks that you can personalize). But the site is more than just favors. You can purchase cake toppers, table number holders, gifts for the flower girl, personalized pillow cases for the bride and groom (which I love, by the way), wedding decorations and more. If you can think of it, chances are you can buy it there. I was on Pinterest a few weeks ago, and I saw a mint tin with a picture of a bride and groom on it that said "Mint to be." 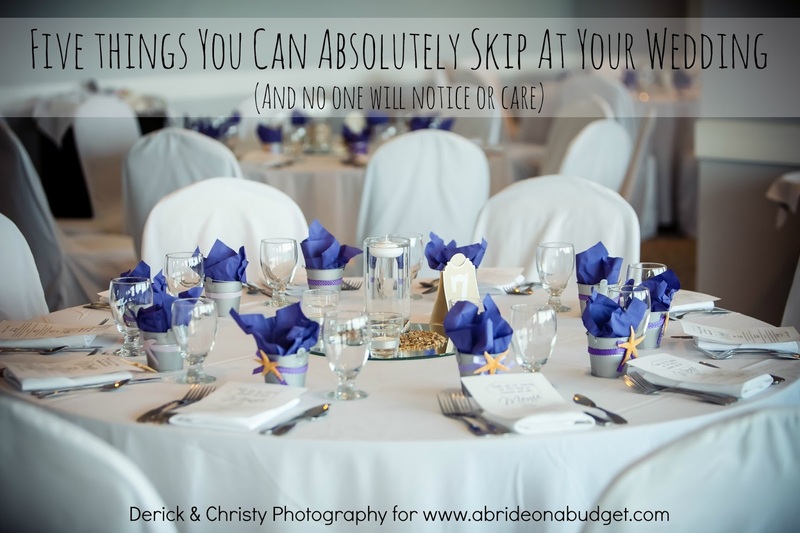 The wordsmith in me absolutely loved it ... but they didn't make sense for my engagement party. Sure, we're getting married, but not yet. It seemed untimely, and a little less personal than I wanted. But, if you know the story of me and Pete, you will agree we were mint ... uh, meant ... to be. So the text was perfect, just not the vehicle. I was looking through Little Things Favors and I saw personalized peppermint patties. Bingo. There were a ton of designs to choose from, but I went with the word love in red, to match the red-foil covered chocolate hearts (from the Favors: Part I post). 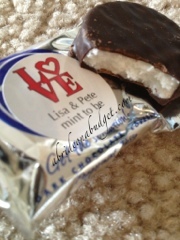 I created the sticker for the personalized peppermint patties to say: Lisa & Pete, mint to be. They arrived so quickly ... which was very impressive because the store is located in Sayerville, New Jersey, which was hit by Hurricane Sandy. I finalized my order at the time the superstorm was hitting the tri-state area, but Little Things Favors processed my order and got it shipped to me without a hiccup. It was amazing. And so were the mints. And the customer service! Little Things Favors is not a major global chain. It's a local shop, one run by someone you could know (and someone you feel like you know after just a few emails). They're the "small guy," if you will, but can pull off fantastic things that even the big guy can't handle. Anything you need, there's a good chance you can find it on the site. The only thing missing was my backup favor idea: wedding microwave popcorn with the saying, "He popped the question." Oh, favors can be so punny. 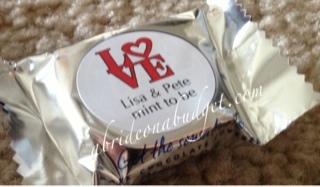 BRIDAL BABBLE: What do you think about our personalized peppermint patties? Aww the patties are adorable and I love them.. Don't know about the popcorn idea ;) I've entered some giveaways ran by Little Things Favors so hopefully I win one soon! They have an awesome selection of items perfect for everyone to find something they will love! !